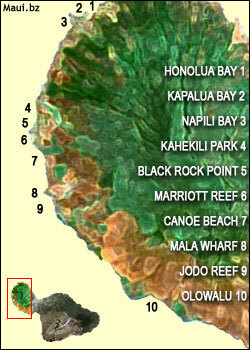 The different islands that make up Maui County offer many excellent dive locations. 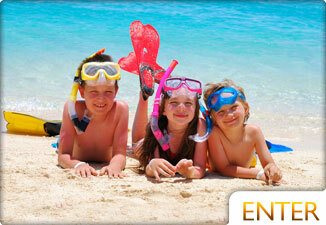 Maui Scuba Diving is known to be some of the best diving in the world. 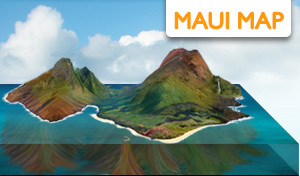 Maui Information Guide has gathered information from mulitple dive masters on Maui for the best Maui Scuba Diving Locations. 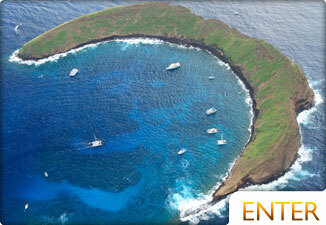 South Maui Scuba Diving is known to be full of incredible opportunities such as Diving Molokini Crater. West Maui Diving also holds some scuba gems. The North and East of Maui are less regularly explored due to swell activity, though in the summer it's usually calm. Maui's Neighbor islands are great for diving as well. 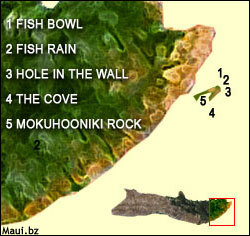 Scuba Diving Lanai and Molokai Diving hold some incredible areas to explore. 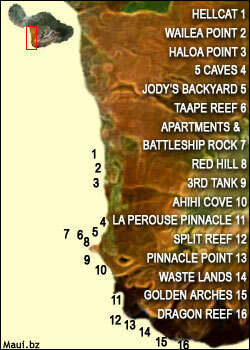 The Cathedrals are some of the most popular dives on Lanai. 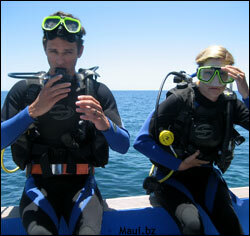 For beginning, intermediate and advanced scuba divers on Maui, we recommend Scuba Mike! Offering an assortment of Scuba Diving Lessons, PADI Certifications, Scooter Dives, Night Dives and Specialty Dives, Mike ensures a great time discovering life beneath the surface in one of the world's best diving locations. 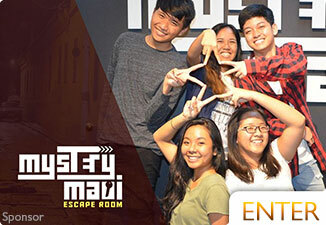 For more information, visit MauiScubaMike.com or call (808) 250-5494. 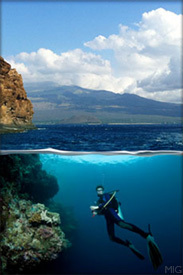 Get information about each of the many south Maui scuba spots. 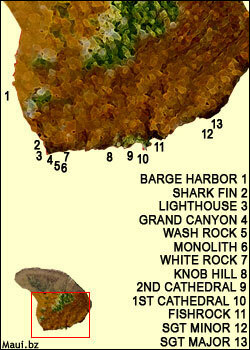 Learn about each dive site at Molokini Crater off the south shore. Find the best spots to dive at on the west side of Maui. Expore the incredible scuba diving sites available off the shore of the island of Moloka'i. 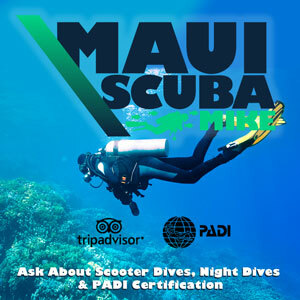 Learn to dive or just rent tanks and gear on Maui. An often missed alternative to scuba diving is SNUBA diving. Basically, this is where you use the same breathing apparatus as scuba divers, only the tank floats on a small raft at the service and you don't need a BCD, experience or certification. You're able to go deeper than snorkeling will allow most people, and you don't have to come back up for air! 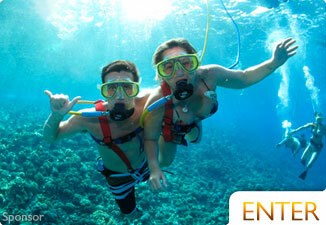 There's limited snuba gear per snorkel trip, so booking your snuba ahead of time is a good idea. This Scuba Diving video below was shot all around Maui. None of the sea creatures in this video were disturbed or touched during the making of the Scuba Video. 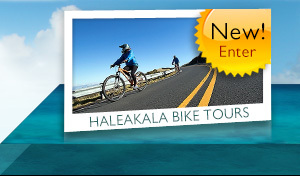 We urge all those that decide to scuba dive Maui or snorkel in Maui to be respectful and keep your distance. You'll find the less intrusive you are, the more curious the fish and animals will be. Maui Law mandates that visitors keep at least 10 feet away from sea turtles and some other sealife. This doesn't mean that if a turtle comes up to you that you're in the wrong. Treat the ocean and its inhabitants the same way you'd like visitors to treat you in your home. Please see our insightful article on Hawaii Shark Attacks about sharks in Maui. Along with interesting information on Maui sharks, you'll find a list of 10 things you can do to protect yourself from a shark attack. Find the best spots to scuba dive in Kihei, Wailea, and Makena. 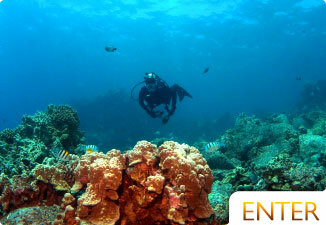 Find the best spots to scuba dive in Lahaina, Kaanapali, Kapalua and Napili. 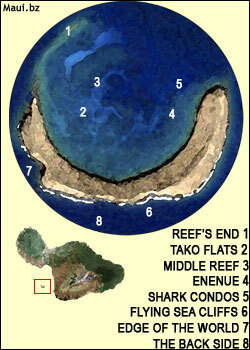 Learn about the great diving locations around Moloka'i Island. 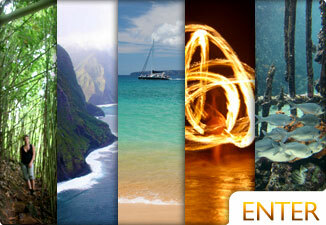 Learn about the many world famous spots to dive around Lana'i Island.